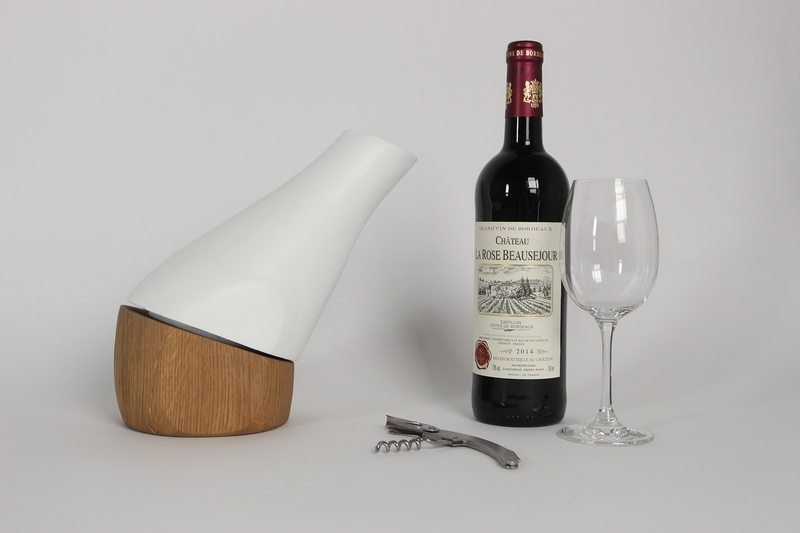 This carafe is a concept of manual wine breathing. Before tasting red or white wine, it is preferable to let it breath or to decant it first. 20 ° is a set of wine especially made to prepare wines before being tasted. 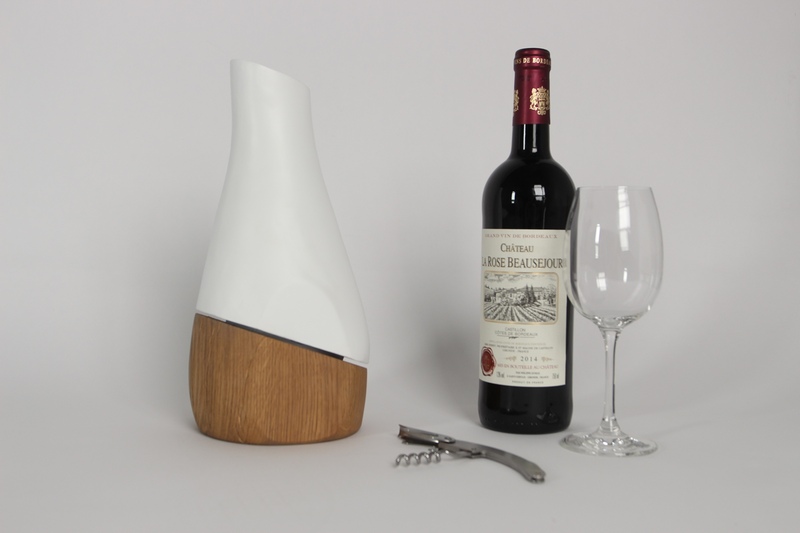 3 different plugs offer to decant, to disseminate or to conserve aromas. 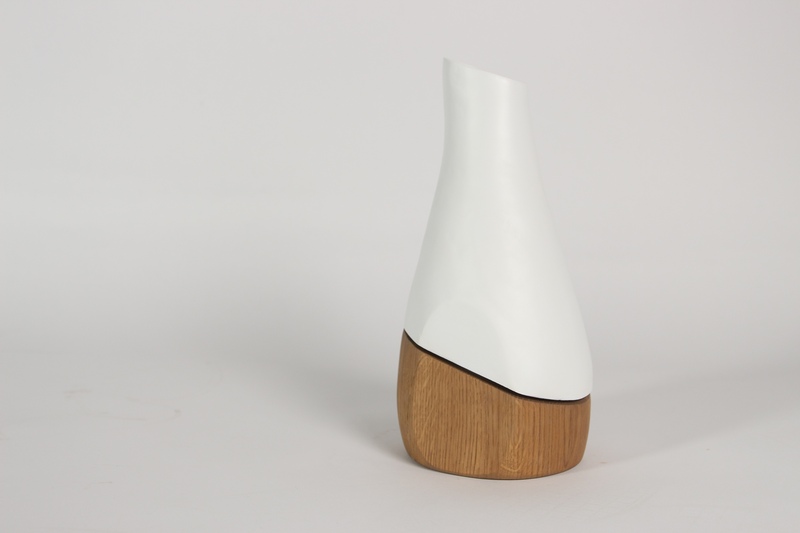 This carafe made of ceramic is placed on a pedestal made out of oak. 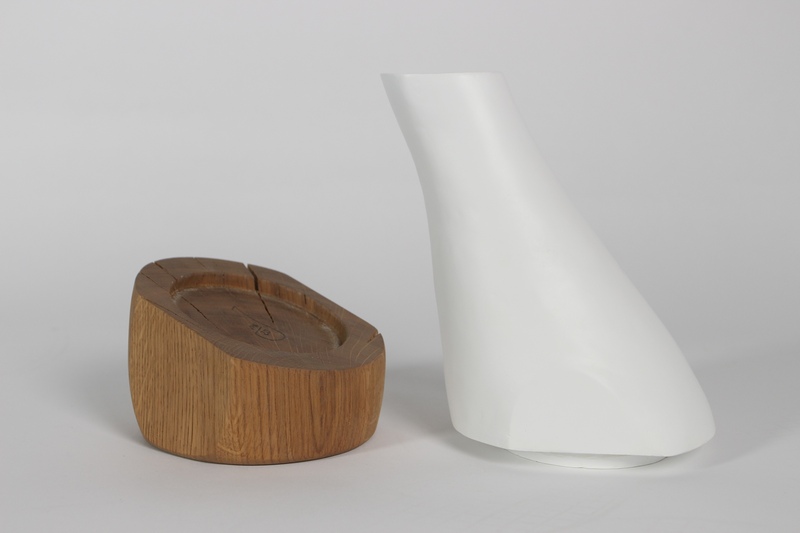 The carafe can turn thanks to the circular notch and its disc, which perfectly fits in. This process increases or decreases the size of the breathing surface (by considering the kind of wine). 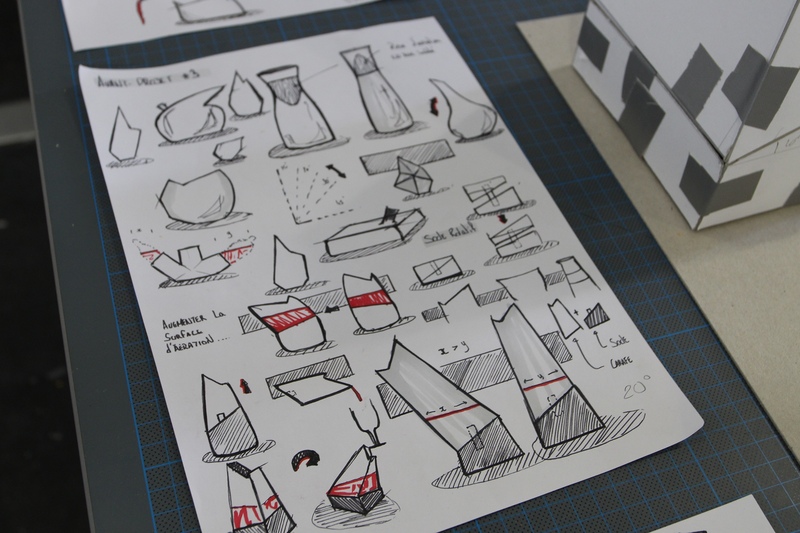 Made in the framework of a special school project proposed by l’Ecole de Design Nantes Atlantique. In collaboration with Victor Salinier, Jules Lerouges, Brandon Gondouin.